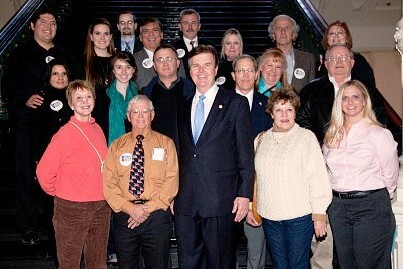 TX Sen. Dan Patrick | Kingwood TEA Party, Inc. Please RSVP to make sure there are enough seats. Thank you kindly! Join us. Sen. Patrick will speak for about 20 minutes and then take questions from the TEA Party and the audience. When Will Texas Get Serious about the Tenth Amendment? Come early and dine with us! RSVP‘s greatly appreciated. Dining in if possible is also a great way to say thank you to Los Cucos for the use of their meeting room! Please join us if you can!